I'm not very happy these days. Book-wise, I'm stumbling- I can read some, but not as much as I'd like, mentally I'm unhappy due to my the present circumstances of my health and also an annoying relative who has been attempting to stalk my blog (unacceptably to me, as I've cut all ties), and physically, I cannot walk without a cane. Normally, I can walk- even at a fast pace (if I must), but sometime in the past few weeks I've become so disoriented that if I'm not holding onto something I walk like my knees can't hold me. I'll spare you the details in this introductory paragraph, but honestly I haven't felt this mentally, physically, and spiritually lousy in years. And to be this way at the height of the summer? It's a major disappointment, to put it lightly. I was feeling so upset a few nights ago I sprung to buy this off Amazon to cheer me up. Who cares about those mounds of other books I have laying around? I need more happy books (always). As I mentioned in my month in review, I was very excited to get this one early. I've started reading it and it has perceptibly lightened my mood. 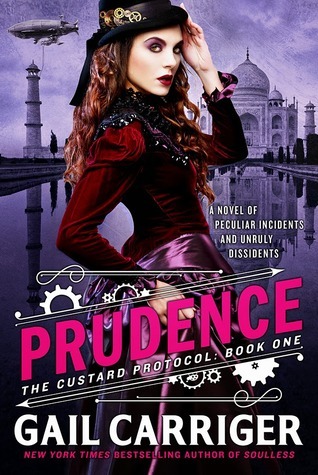 So if you need cheering up and like snarky heroines, the Kate Daniels series is definitely one I'd recommend. It's interesting, but it's also depressing. Therefore, I alternate between reading this and Magic Binds. 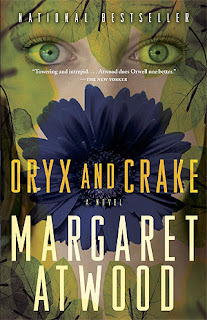 I'm reading Magic Binds and Oryx and Crake, but I've had to put aside a few of my physical copies. They don't seem to hold my attention as much as the (shiny) ebooks do. Perhaps I need a Smell the Paper Love September after all. 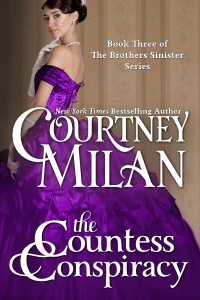 Because Courtney Milan's writing is the historical romance equivalent of Lays potato chips (you can't just eat read one), I finished this one in about a night. It was good, but not my favorite of hers- I'm pretty picky when it comes to romance. I liked both of their reviews equally, though I don't think I'd go out and buy it this minute from either of their accounts (I rarely buy a new-to-me-author's book unless it's really cheap). 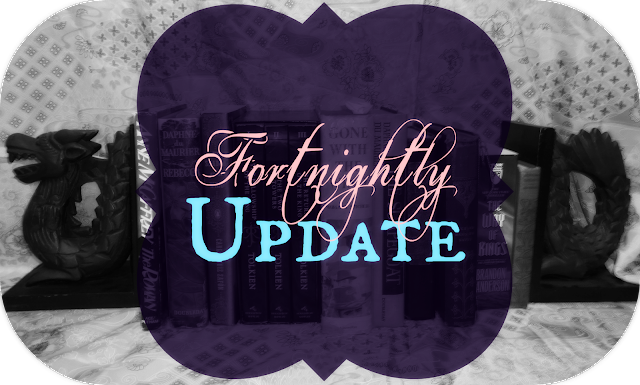 Stephanie Jane @ Literary Flits reviews The Midnight Palace by Carlos Ruiz Zafon. Because I'm a fan of The Shadow of the Wind, I'm definitely interested in reading more from this author. Laura @ Blue Eye Books has a post on To Read Or Not To Read: Harry Potter and the Cursed Child by J.K. Rowling. Although I was pumped to hear a new Harry Potter story was coming out, I think I'll be waiting until it's an affordable price for me to add it to my collection, or skipping it altogether. I want to read it, but I like the place I was left at in the Deathly Hallows, as Laura mentions in her discussion. 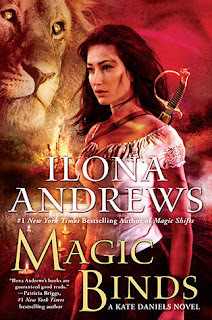 Heather @ Based on a True Story reviews the entire Song Of The Lioness Series by Tamora Pierce. My childhood best friend was obsessed with the books, but I was too busy trying to puzzle through Robin McKinley's stuff at the time- I guess I'm glad I skipped it. Book Depository News (for Art-Inclined Folk): #BDDesign Bookmark Competition- you can create a coloring bookmark and upload it to see if you can win a MacBook Air. Personally, I'm going to try and do it just for fun. I'm not really a fan of many tv series, but the ones I find consistently above par are the ones on PBS (Masterpiece Classic, Masterpiece Mystery!, Finding Your Roots, Secrets of the Dead, Nova, Nature, Twice Born... I could go on forever). Because of that, I've been rewatching a series I skipped several episodes of in the past- Inspector Lewis. Though I've never had the pleasure of watching Inspector Morse (a tv series in his own right), I began watching Inspector Lewis during the sixth season and managed to be entertained despite my newbie status to the series- it's based mainly around the mysteries Inspector Lewis and now-Inspector Hathaway solve, but it also tells a lot about the characters. I rewatched every episode on my mom's streaming service, so I'm now ready for Season 8 which begins tonight. 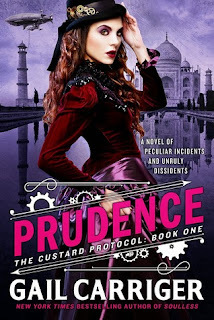 I love everything about the series- there's even a middle-aged love affair going on between Dr. Hobson (a coroner) and Lewis that has me cheering. If you like mysteries that aren't all blood and guts and sad things, Inspector Lewis is definitely a good series to watch. Since I finished with the Inspector Lewis rewatchathon, I also started Poldark (which is a remake of an earlier series). I've only watched one episode but it definitely appeals to me. As long as you have good characters, a good soundtrack, and good scenery with an unpredictable plot in your tv show, I might watch it. I also have a thing against too much drama which has ruined some of my favorite American tv shows (Perception, Elementary, The Blacklist, and the like). There's a balance to drama I can appreciate, but cheap cliffhangers where you know the characters survive, but they appear to die on tv are just not my kind of program. However, I read books like that all the time. Go figure. As I mentioned, walking is a bit of a chore. I get sympathetic looks from people in the grocery store now, which I could really do without. For the first time in recent memory, I'm having symptoms that look incredibly painful but that aren't. True, at night my spine and head ache a lot from the jostling they've received due to my ataxic-looking gait, but otherwise it's not physically painful. It's a hell of a lot more painful mentally, as I can't do the things I like (walk around the yard with the dogs at a reasonable speed, walk around the neighborhood if I want) and I'm only recently a 24 year old geriatric mimic. It seems like my knees are either bouncy, jerky, or not there at all when I need them. It's gotten to the point where I'm thinking of dragging my mom's walker out of the garage just so I can walk straight and not almost hit the ground every time I foolishly try to turn around. I think at this point only pride is preventing me- I much prefer my bamboo cane because at least it looks like my legs could possibly improve that way. I revisited with my doctor's nurse, who told me my vitamin B12 levels are fine (she initially thought they weren't), and that on Monday a neurologist's office in my little city would call me to see if I can get an appointment. It's difficult for me to fathom what the future might hold because I don't yet know my diagnosis/treatment/everything else. The only thing I can control at this point is to resolve to keep on walking even though it's difficult, and ride my stationary exercise bike instead of doing the other chores I'm used to. I've had so many inexplicable medical conundrums happen to me at this point that I've learned it's useless to worry about something you can't do anything about. Whatever happens, happens for better or worse. And since I err on the side of worse, I'm teaching Torrie to fetch my cane for me. One can never have a dog with too many helpful pet tricks. Which tv shows/movies have you enjoyed recently? I've stopped watching a few American shows because the level of drama was off the charts. How much crazier can shows get?! I seem to be on a science fiction kick right now, and can't get enough of those types of shows. I am glad you are not in a lot of physical pain, but I know that only goes so far as mental pain can be much worse in many respects. I'm thinking of you. Take care of yourself and I hope for good news from the doctor! I think I would be lost without my happy books and semi-happy tv shows. I'm keeping a calendar of all my bizarre symptoms this time so when the doctor asks when some obscure symptom occurred, I can actually answer reasonably well. I love sci-fi shows! The only trouble is I tend to forget the day it airs, or miss the first few episodes of a new season and then I feel lost when I try to watch them again. I think that's why streaming tv online is so popular now. Thanks for stopping by and showing your concern, Wendy! Oh no! Hopefully the doctors (or you!) will find something that can help! I can't imagine not being able to have the freedom of just jumping up and going someplace. Thanks for the shoutout and hopefully you'll find something helpful soon!! Yeah, it's not my favorite set of symptoms I've had (and I've had many symptoms in the past ten years). It's frustrating, but I hope the neurologist will contact me soon. 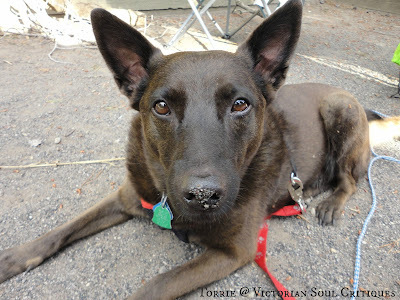 You're welcome for the shoutout- thanks for stopping by and commiserating with me! Generally, I'd recommend you follow me on Twitter (which you already do) for post updates, but I've been using my feed there to lament/update on my health issues, so it isn't the most reliable anymore. My feedburner updates to my email are slow, but they always come... eventually. 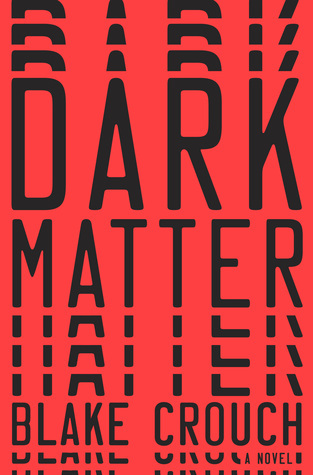 Dark Matter by Blake Crouch is a new release- the one she mentioned is from comics. 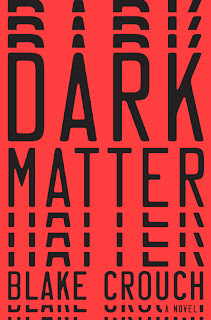 I actually used to watch a "Dark Matter" tv show that was on Science channel, that was about all the macabre ways scientific advances came about (from the Holocaust, cruel experiments, and so on). I was disappointed when that went off air because it was educational, and a tad disturbing. I think Stranger Things is on Netflix- I have cable and my mom's Amazon streaming, so I don't get to watch it. I guess there's another show (Alias Grace, based on the historical fiction novel by Margaret Atwood) I want that will be streaming on Netflix soon, so I might test it out. I hope I feel better too- I look at my blog and think, more reviews, please. Maybe in the next week or so I'll eke a few out. Month in Review for July 2016: August, Be Nice!